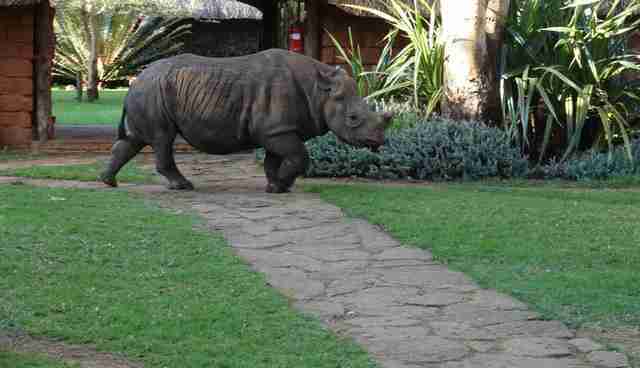 Elvis has a little bit of a different family than other black rhinos in the land. Elvis's mother, Mawingo, was blind. 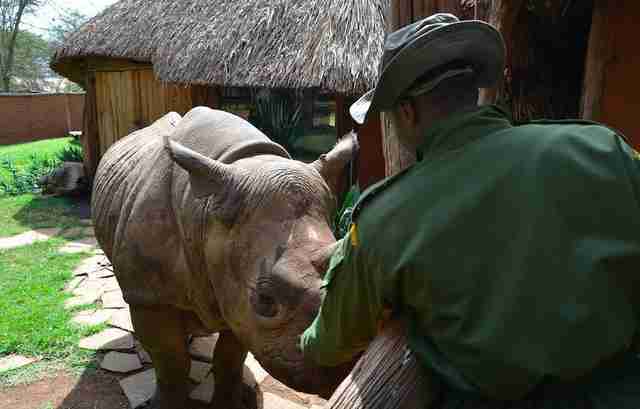 Years ago, when Elvis was born in the wild expanses of Lewa Wildlife Conservancy in Kenya, this rare black rhino baby was destined to be lost just like the other children his disabled mother had birthed. "Unfortunately, all of Mawingo's previous calves, before Elvis, were predated on as a result of her blindness," Wanjiku Kinuthia, of Lewa, told The Dodo. "We made the decision to hand raise Elvis to ensure his survival. 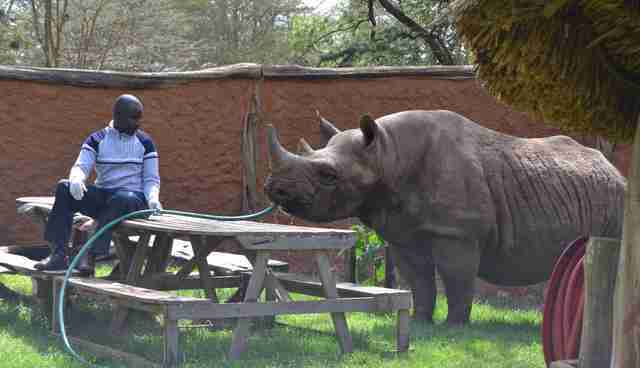 Black rhinos remain critically endangered, and every individual counts in saving the species from extinction." 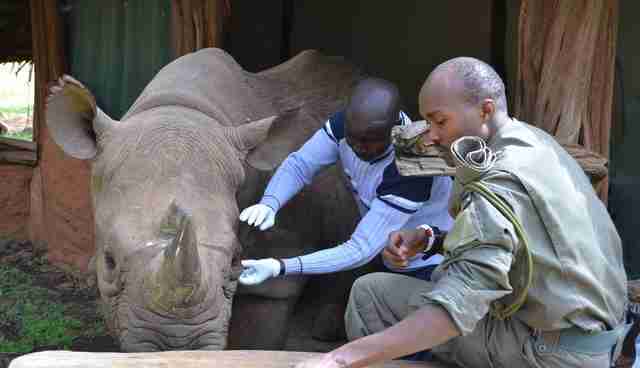 And the people at Lewa know just how to step in to help. 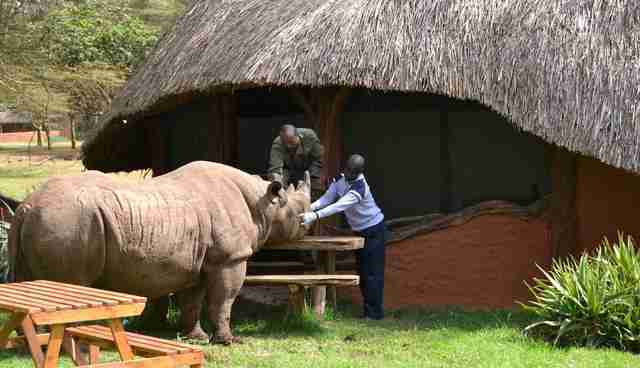 Elvis spent years being hand raised by the people at Lewa until he was finally reintroduced to the wild. "Elvis was cared for by humans till he was four years old (and able to care for himself)," Kinuthia said. 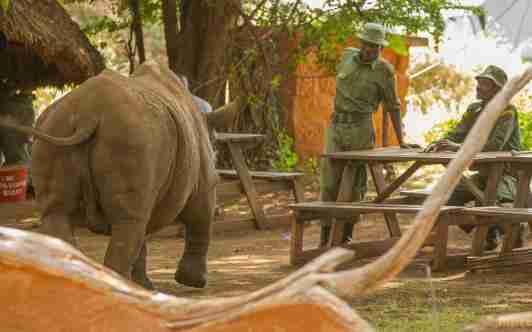 "We then reintroduced him to the wild, and we are delighted to see that he is thriving out there as a wild rhino, how they should all live." But Elvis, though self-sufficient, often comes back to visit. He wanders the grounds among his bipedal friends. He even sticks his head in through the windows of houses, to see what's cooking in the kitchen. Elvis might be one of the rarest and most majestic animals on earth - but he's also just one of the family. 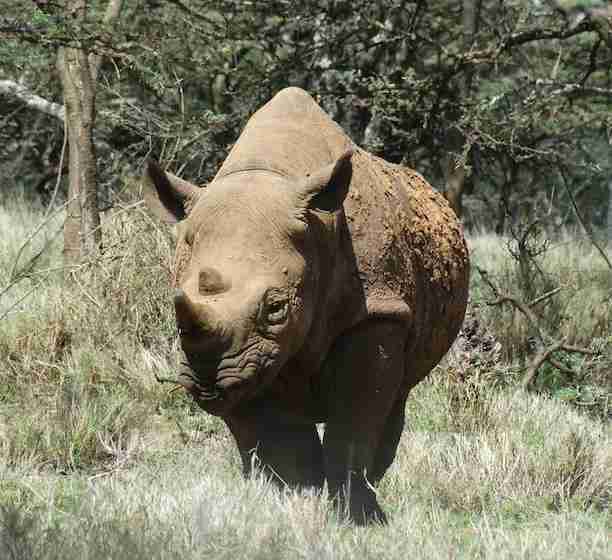 Click here to help Lewa Wildlife Conservancy care for majestic animals like Elvis.